Ensure there’s a safe way to enter and exit the trench. Ensure the trench has cave-in protection. Keep materials away from the edge of the trench. Look for standing water or other hazards. Never enter a trench unless it has been inspected. The Agency says it has made reducing trenching and excavation hazards a priority goal. 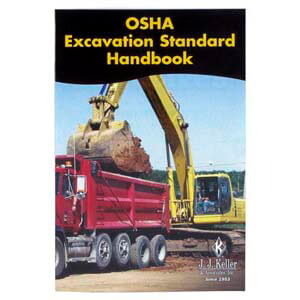 J. J. Keller's OSHA Excavation Standard Handbook puts key regulations of OSHA's Excavation Standard into language employees can easily understand. J. J. Keller's FREE Workplace SafetyClicks™ email newsletter brings quick-read workplace safety and compliance news right to your email box.